For the better, of course! Over the last year, I’ve found myself entering high street stores and gracefully weaving between the rails until I find the sportswear. I say gracefully, as graceful as you can possibly be whilst being the ‘always in a rush’,heavy-footed kind of lady like myself. 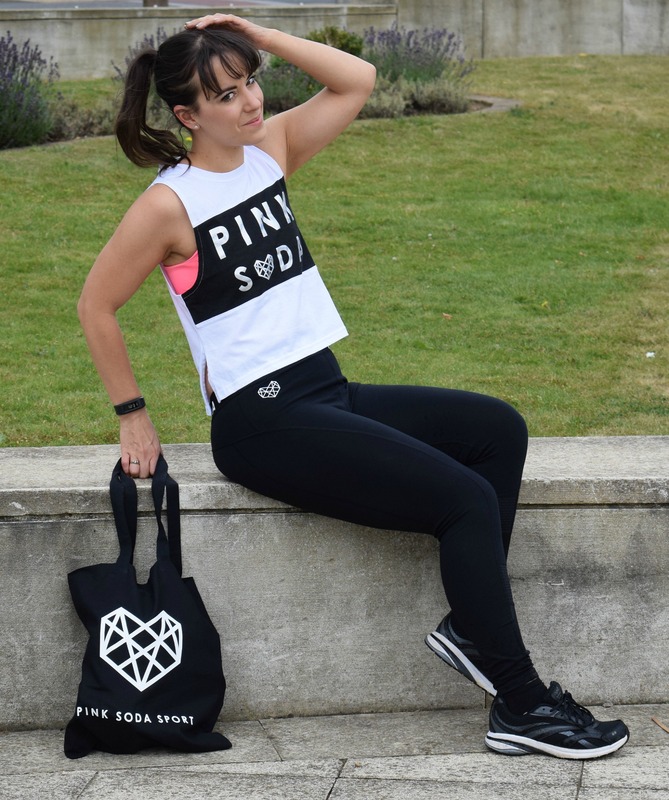 So now I’ve proved my status as an ‘fitness wear expert‘ (don’t quote me on that, I’m lacking modesty today) I’ll tell you about a brand called ‘Pink Soda Sport’. 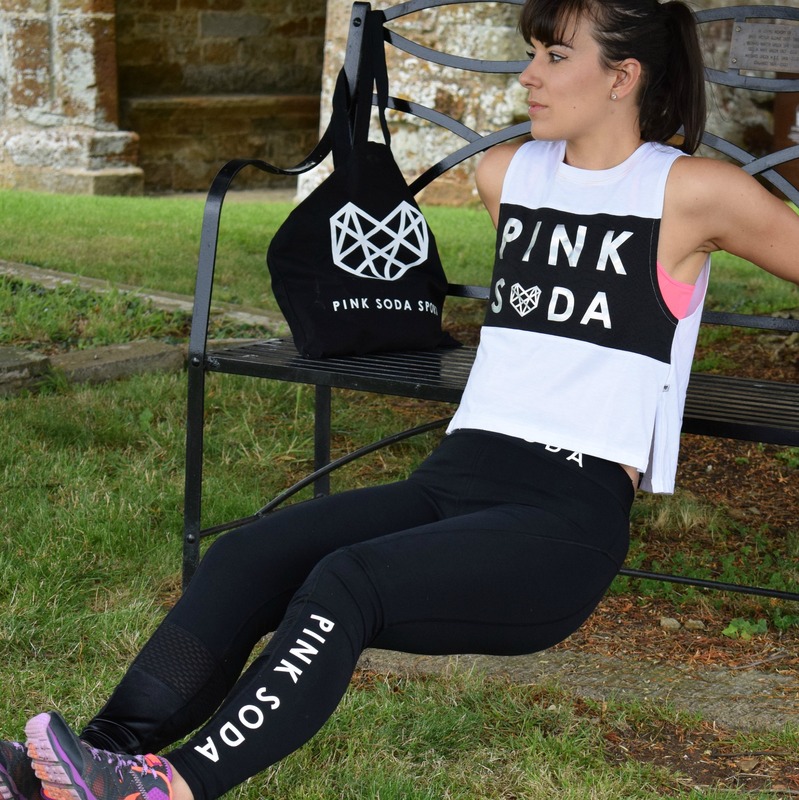 Pink Soda Sport is a LA inspired brand, think clean lines, with a striking black, white, grey and pink colour scheme and effortless style. How does the clothing perform? I was also sent this contrasting long-sleeved crop top, which initially I felt a little bit apprehensive about. If I’m honest, my confidence waived and I feared I’d never be able to pull off such a striking look. I was so wrong, the high cut of the leggings balanced out the crop top and I felt strong, confident and most of all, I felt fierce. In relation to sizing, I’d say that ‘Pink Soda Sport’ run’s true to size, I’m a large UK 10 and about 5ft 6; in my opinion, everything fitted perfectly. Fancy seeing a bit more of Pink Soda? Have you ever worn Pink Soda before? What are your sportswear staples? You look fierce in that crop top – really a good look for you! I’ve seen Pink Soda and want to try it, but I’m on a ‘no spending’ kick at the moment. Once there’s some spare cash I’d love to get some stylish workout gear! At the moment I mostly work out at home, so my outfits are cheap capris and whatever t-shirt is to hand. If I’m out running, I’ll put on my Nike capris (about 7 years old but still going strong!) and a technical race t-shirt. I have some really cool leggings and things, but I’ve gained weight since I bought them so can’t currently wear ’em. Oops! Thank you! It’s really nice clothing and I’m pretty impressed, but I workout at home mainly also and that means I can get away with low key clothing when I can’t be bothered. Don’t worry about weight gain, happens to the best of us…I can’t get into half my jeans at the moment!